We have been honored to make the awards for the RI Foundation the past 2 years. 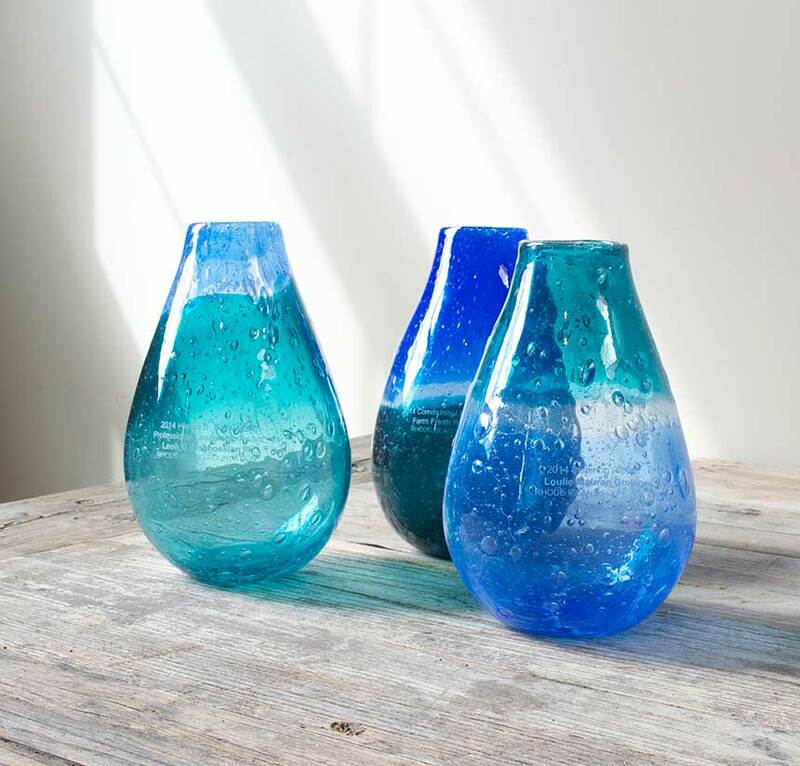 The bubbly glass and the blue colors are a nod to Rhode Island, the Ocean State. These awards are beautiful and functional!